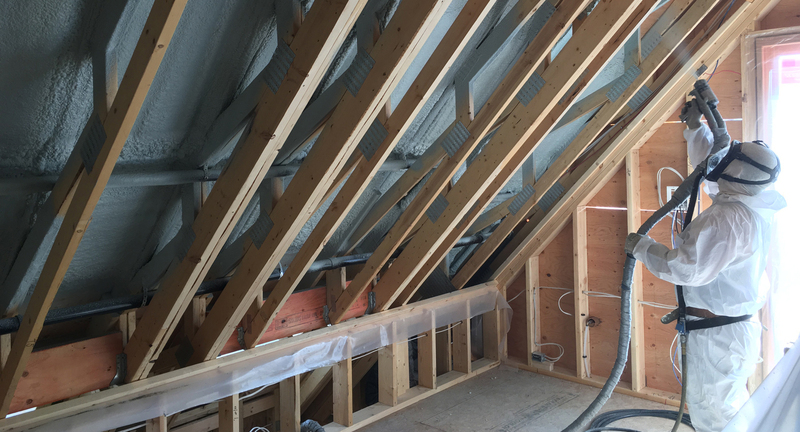 Using a variety of foam products, we are able to maintain a flexible outlook towards any project and ensure the highest standards can be met for your wall systems, garages, ceilings and attics. We provide installation from certified applicators of Demilec’s Sealection 500 1/2 lb open cell foam, as well as Icynene MD-C-200 2lb closed cell foam in our projects. With a long history of success, these products can be used to meet today’s job site requirements and demands.